The long history of Japanese players with the Seattle Mariners is poised to continue. 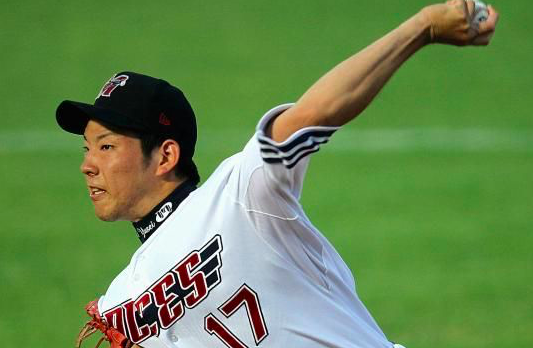 The Mariners have reportedly agreed to terms with Japanese pitcher Yusei Kikuchi. The deal is for three years and $43 million. After three years, the Mariners have the option of extending Kikuchi by four years at $16.5 million per season. If they decline that, Kikuchi will have a player option for the 2022 season for $13 million. The 27-year old lefty has pitched with the Saitama Seibu Lions in Japan since 2010. He’s been an all-star three times, including each of the past two seasons. During that time, Kikuchi has posted a 2.77 ERA. While standing just over six-feet tall, Kikuchi throws his fastball in the low-to-mid ’90s and possesses an above-average slider. Most scouts consider him to be a mid-rotation starter in the big leagues. Signing Kikuchi will continue a streak of the Mariners having at least one Japanese player on their roster every year since 1998. Given the history of success of some of those players, it was easy for the Mariners to persuade Kikuchi to come to Seattle. Of course, the caveat is that Kikuchi is joining a rebuilding team. The Mariners have spent most of the offseason selling off some of their best players. It’s possible that more trades will be made before spring training. Those moves will likely make Kikuchi one of the top pitchers in Seattle’s rotation. With James Paxton being traded and Felix Hernandez no longer being an ace, Kikuchi will have a prominent role for the Mariners right away while they wait for some of the young talent they acquired in their offseason trades to develop. Nevertheless, signing Kikuchi is a positive move by the Mariners. Given his success in Japan, he should be able to handle himself in the majors and bring some immediate stability to Seattle’s rotation. His contract also makes him a long-term asset for the Mariners. Even if it takes another year or two to rebuild, Kikuchi should still be in the picture when the Mariners are ready to be competitive a couple of years down the line.